Here at Billingsley Education, we are busy planning NEW and exciting professional development opportunities. 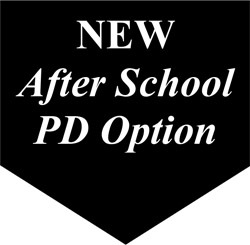 In particular, we are excited about our NEW after school PD sessions. Now, you can select any of our full day professional developments and we will design a 4 – 4.5 hour, focused, fast-paced PD that can be delivered after school. We hope this creative option will help stretch those precious PD dollars (no substitutes required) and allow more of your staff to experience our high quality, inspirational training. Whether you select a traditional full day PD or the NEW after school option, we are here to support you & serve your needs! Below is a partial list of our most popular training options. Do you see a professional development you are interested in but would like to tweak it to meet the specific needs of your district/campus? Not a problem. Our pledge is to work with you to provide the best professional development for your educators. Contact us about designing a session that will specifically meet the needs of your campus. 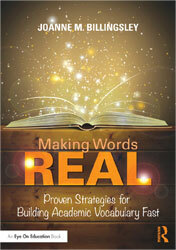 Making Words REAL – Proven Strategies for Building Academic Vocabulary FAST across ALL Content Areas! Proven Targeted Strategies to Accelerate the Acquisition of Academic Vocabulary Dramatically Increase Opportuni-ties for Listening, Speaking, Reading & Writing Using Academic Language in ALL Content Areas. This seminar will model proven & practical instructional strategies that engage all students in vocabulary and language interactions. Discover NEW highly engaging, field-tested strategies that make content comprehensible and words REAL! Note: Special emphasize on sheltered instruction and small group learning experiences. Creative strategies for Implementing the ELPS and Sheltered Instruction. 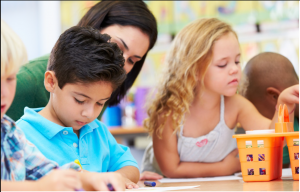 Dramatically increase student-to-student opportunities for listening, speaking, reading and writing together in small cohesive learning communities. How to build & implement highly effective learning centers and maker spaces. This instructional model has produced remarkable results with Els & diverse learners in both traditional and inclusion classrooms. Joanne’s philosophy; “When you provide students with a rich variety of novel, multi-sensory experiences, and creative opportunities, stu-dents will engage, respond, learn and succeed.” Differentiated instruction has never been more compelling or more FUN! Note: This training is well suited for science or math teachers. Using Simple Objects & Projects to Generate Complex Thinking, Deep Understanding and Spark a Love for Learning. Discover how students can explore simple objects to expand academic vocabulary, practice writing and even master the parts of speech! Strategies that will help all students, Read Deeply, Think Critically, Have Academic Discourse and produce Quality Writing. Includes the effective use of images, word journals, stories & tools that build literacy skills and elicit a joy for learning. Relating important discoveries in Neuroscience to the real world of the classroom! 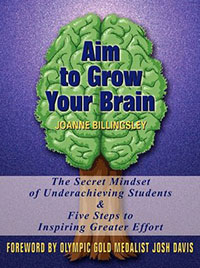 Topics include quieting the angry brain, sharpening focus skills, improving memory & retention, whole-brain teaching and learning.